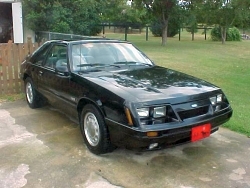 Although visually, the 1986 Mustang GT was nearly identical to the 1985 GT, under the hood was a completely different story. Replacing the tried and true 4V carburetor was a sequential multiple-port fuel injection system perched atop a revised 302 HO V8 block. This engine was installed in both the manual transmission and automatic overdrive units with horsepower now equal for both. Although horsepower was down 10, torque was up 15 foot-pounds. The compression ratio was increased from 8.4:1 to 9.2:1 with new forged flat-top pistons and redesigned cylinder heads featuring a new fast-burn combustion chamber. While retaining the roller lift cam and stainless steel tubular headers, the new fuel injection setup featured a 58mm throttle body (540 cfm) with 19 lb-hr. injectors and a tuned length aluminum intake manifold. A new H-pipe feeding dual converters lowered backpressure an astounding 32 percent. 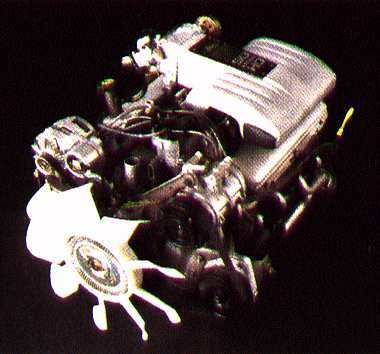 The old Duraspark ignition was replaced with a Hall Effect distributor to be compatible with Ford's EEC-IV computer, in its first year in the Mustang. Also big news was the 8.8-inch rear axle, a big improvement over the 7.5-inch ring gear. Other upgrades included a clutch enlarged from 10” to 10.5” and new viscous (fluid-filled) motor mounts. Axle ratios carried over from 1985. The '86’s maintained the '85’s clean exterior looks with only the addition of a third brake light to differentiate it from the ‘85. This year’s color choices consisted of Black, Dark Grey Metallic, Silver Metallic, Medium Canyon Red Metallic, Bright Red, Light Regatta Blue Metallic, Dark Sage and Oxford White. These colors complemented the standard GT fare of 10-hole 15x7 inch wheels with Goodyear uni-directional Gatorbacks, aerodynamic front air dam with fog lamps, rear spoiler, a charcoal hood stripe and “GT” embossed body side moldings. 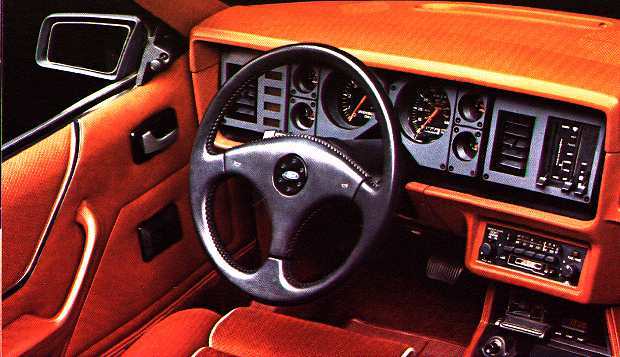 Interior color choices included Charcoal, Sand Beige (carryovers from ‘85) and Canyon Red (new for ‘86). Standard interior GT features essentially remained the same from ‘85 with console, full instrumentation, articulated cloth sport seats, tilt wheel and dual visor mirrors. The reintroduction of leather seats as a option for the GT convertible in Charcoal or White was big news. This accompanied items like rear defrost, air conditioning, power windows and locks, light/convenience group, sunroof, T-tops, speed control and a variety of radios on the options list for ‘86. In summary, the '86 GT included appearance features found on the ‘85s and a prediction of things to come in the improved engines of '87 and later. New ‘86 engine block received increased cylinder wall and deck thickness, and Siamese bores for improved rigidity which carried over into future 5.0L GT’s. However, there was a downside to the changes to the ‘86 5.0L. From 1968 through 1985, the 302 small blocks had used a wedge-type cylinder head. 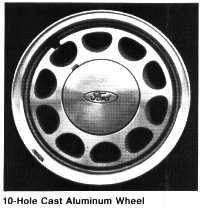 When that head was dropped in '86 in favor of a new casting which Ford called a high-swirl, shrouded valve head, (although the new head greatly improved emissions ratings) performance fell because the head design restricted volumetric flow. Basically, by 1986 everything including the basic short block had been redesigned or exchanged in the 5.0L. The 5.0L GTs were frisky and gutsy and demanding respect. But with the '80s perfommance wars heating up, Ford decided that the high-swirl heads were a poor choice for the 5.0L Mustang and that the old wedge heads should be reintroduced. The stage was now set for the fuel injected engines to follow. This area is still under construction. Please stop back in the future for a listing of 1986 GT options and prices as well as other data. 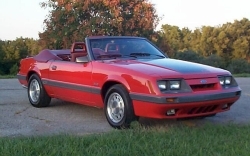 Looking for 1986 Mustang GT CARS for sale? Check out our eBay link HERE!! Looking for any 1986 Mustang GT related items for sale? Check out our eBay link HERE! !